Here is a roundup of the 2018 Nikon D810 Holiday Deals & Sales, along with Black Friday, Cyber Monday and Green Monday Nikon D810 deals, sales and specials. The Nikon D810 achieved an overall DxOMark score of 97 points – an outstanding score with excellent color depth and an extremely wide dynamic range at base ISO for the most subtle tonal gradations in highlights and shadows. In addition, Nikon D810 DSLR camera achieved an excellent 86% overall score and Gold Award from the experts at DPReview: Suggested for “Landscape and studio photographers who need resolution and dynamic range, and enthusiast shooters who want an ‘everything’ camera without spending flagship money”. This page will be updated when new deals available, so bookmark this page and check back often for the latest Nikon D810 Black Friday/Cyber Monday/Green Monday/Holiday Deals. $200 off on Nikon D810 body: $2,796.95 at Amazon, B&H, Adorama. 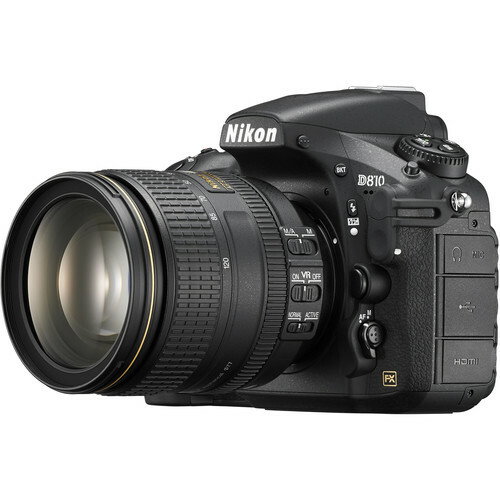 $800 off on Nikon D810 w/ 24-120mm Lens: $3,296.95 at Amazon, B&H, Adorama. Read more: Nikon Black Friday Deals 2018 and Best Lenses for Nikon D810.